This week Bill catches up with his friend, ex co-worker, and local radio legend, Artie Fufkin over lunch at The Dodo Restaurant. In this episode we learn why Artie really left X96, everything that happend to him in the following months and years, and how he managed to come out of it all on top. To see pics of our lunch with Artie CLICK HERE. This episode had me in tears. I fell in love with Artie all over again. Bring him back to X96!!! 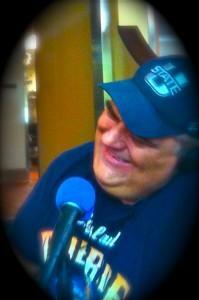 I LOVED Artie on X96! I am so glad that you had him on the podcast. Artie is awesome! Thanks Bill for having him on the show. Thanks for making me cry on your stupid podcast Bill! j/k What a great opportunity, and thanks to all for the support! Bring Artie back to X96! I love this! Artie is one of my all-time favorites! Thanks Bill!